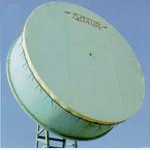 Electronics Corporation Of India Limited - Manufacturer of programmable controllers, earth station antennas & first solid state tv in Hyderabad, Telangana. On the earth station front, ECIL continued its progress and delivered and installed 3 Nos. of 8m earth station antennas at Port Blair, Kavaretti and Aizwal with indigenous design to bring the far flung areas of Northeast into country’s telecom network.